Provide the patients with needed necessary comprehensive subspecialty orthopedic care both in prevention and active management. This includes clinical evaluation, diagnosis, non-operative and operative treatment in both inpatient and outpatient areas. 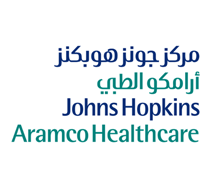 The subspecialty Orthopedic Surgeon will be considered the ultimate resource within Johns Hopkins Aramco Healthcare in his/her respective field, and as a resource to other orthopedic surgeons and other health care provider professionals.rnrnScopernrnIncumbent is a subspecialty orthopedic surgeon who provides comprehensive care for in inpatient and outpatient set up. Management of simple and complex pathology of the musculoskeletal system in all age groups as per his/her particular area of expertise. Utilizes all resources needed for such comprehensive care such as rehabilitation, radiology, social services, and various other specialties together up-to-date and advanced management modalities. The orthopedic subspecialist is in charge of a designated subspecialty orthopedic clinic which provides a point of contact for patients entering under his care.rnrnPrincipal ContactsrnrnContacts are primarily with patients and their families and relatives involvement with rehabilitation services, and other health care professionals: Orthopedic surgeons, specialists from other areas, primary care physicians and pediatricians, nurses, technicians, therapists, etc.rnrnPrincipal DutiesrnrnThe orthopedic subspecialist’s primary concern is providing competent and up-to-date medical and surgical care in his particular area of expertise. His care should be provided with compassion and respect. The physician-patient relationship is the focus of all ethical concerns.rnProvide comprehensive subspecialty orthopedic surgical care to all assigned patients. rnManage patients in both ambulatory and in-patient setting including emergency medical services.rnLeads the appropriate multi-disability team in the particular subspecialty area. Optimizes the work environment for the surgical care of subspecialty orthopedic cases. This involves working closely with other health care professionals and physicians, such as nursing, central supply, and rehabilitation services and primary care physicians to create and maintain the necessary on set up.rnParticipates to continue self-improvement in knowledge and skills in an effort to continually improve his assignment of care delivered.rnParticipates in the on-call orthopedic surgery schedule both as a primary on-call consultant and as back-up consultant when needed in his particular area of expertise. Orthopedic subspecialist will also be on disaster alert whenever in Kingdom as per JHAH regulations.rnParticipates and contributes in continuing medical education activities both within JHAH, such as Grand Rounds, M & M meetings, Journal club, Lectures, and outside JHAH such as conferences and seminars.rnParticipates and contributes to ongoing Quality Improvement programs within the Division of Orthopedics and as instructed by the Chief of Orthopedics.rnMaintains complete and accurate documentation in the medical records both in-patient and out-patient and electronic of all patients encountered.rnConsults and discusses with the Chief of Orthopedics any difficult management problems or special concerns. Difficult cases which cannot be managed appropriately will be considered for referral outside JHAH Health Center. Difficult cases which may have risk management considerations also to be discussed with the Chief of OrthopedicsrnAdheres the Bylaws and Rules and Regulations of the Medical Organizations and assures that all work is performed in keeping with the established standards of the Organization; the orthopedic subspecialist also strives to ensure that all work is performed in keeping with established Joint Commission International standards.rnThe subspecialist orthopedic surgeon must continue strive to maintain an improved medical knowledge and to make all that information available to patients, colleagues, and the public.rnThe subspecialist orthopedic surgeon should promote the development of an expert healthcare team that will work closely to provide optimal patient care.rnThe subspecialty orthopedic surgeon must respect the rights of patients, of colleagues, and of other health professionals and must safeguard patient confidence within the constraints of the law.rnExperiencernrnThe subspecialist orthopedic surgeon must have three (3) or more years of experience in his particular field. Training Programs must be acceptable with the Saudi Ministry of Health and Saudi Counsel for Health Specialties for Licensing as a Health Care ProviderrnrnOther requirements as applicablernrnThe orthopedic subspecialist must have a valid license to practice medicine in his or her structured origin.rn rnrnThe English language is required as it is the common languagernArabic fluency is desirable but not mandatory.rnOrthopedic Subspecialty fields include but are not limited to the following: Sports Medicine, Arthroscopic surgery, Joint reconstruction, Pediatric orthopedics, Deformity correction, Foot and ankle, Hand and upper extremity, Orthopedic Oncology, and Limbs salvage surgery.